1. Your Profile Profiles are part of the first impression you make on any social media platform. On Pinterest your profile stands out like a downtown theater marquee. It’s bold, easy to read, and waiting for you to take a stand on who you are and what matters most to you. 2. Your Boards Each board you create is like a page in the story of you. Here you visually share your heart, mind, and soul. Every board you design becomes a window into the essence of you in a way not possible on any other platform. There is more than enough content available for you to theme boards around the elements of your faith and relationship with God. 3. Board Titles You have the freedom to title every board. (As well as every single image you PIN) Your creativity and imagination invite others to come inside. A title is a simple means to showcases your uniqueness and communicate Who holds your heart. 4. Board Descriptions Every board carries with it the option to describe it. Favorite scriptures, quotes, or song lyrics can bring an emotive quality to the stories you want to tell with the images you collect. 5. Board Covers You have the ability to freeze the cover image featured on each board. Thoughtful execution of the functionality highlights significant posts, your core message, and elegantly connects one board to the next. 6. Board Arrangements The arrange feature on your wall enables you to change-up the order in which your boards appear. With this tool you can put first things first on your wall and cast a bigger vision by the way you sequence or cluster your boards. The synergy of how it comes together has the potential to powerfully impact someone visiting your wall. 7. Common Ground It’s always fun to find pins in unexpected places, but common ground surfaces fast when you ‘like’ or ‘repin’ the images of those already in your community. You discover what people value and where interests intersect. The notification system works fast. You can gauge who is responding and what exactly they liked about your posts. Common ground is where relationships manifest, trust develops, and doors to Truth open. 8. Multimedia Pinning isn’t limited to static images. You can pin videos and blogs as well. Now you have another highly interactive way for others to learn more about you and for you to learn about them. Christian blogs and videos serve to enrich your story while adding texture to the other content pinned on a board. 9. Outreach And if you are wondering about ‘outreach’ possibilities well, that’s easy, too. Use the main search function to discover content outside of your follower mix. There you’ll find fresh images and brand new people to add to your community. Make comments on posts when you repin something from someone’s collection for the first time. It a gracious way to quick engagement and a new friend. 10. Celebration Boards are often used to plan the celebrations to come or to document ones that have passed. Every board is a gateway to discovery. A joy-filled occasion connects people intensely around life’s most profound hopes, dreams, delights, and desires. Comment, celebrate, and bless those events as you see them unfold in the lives of others. What do you enjoy most about Pinterest? What are some of the ways you see faith being expressed and shared there? For any Christian or Christ-centered enterprise, if a platform is reshaping information flows, we need to seize the opportunity. As always, thanks for keeping the @stickyjesus family on the leading edge. We love it when you stop by @GordonMarcy:disqus – a joy to see you dear brother. I think you would love this platform. I can see all sorts of applications as it relates to enspire.tv. You must check it out. Your Light would be welcome in the daily flow that is Pinterest. You really don’t want to pass this up – hope we find you there – SOON! @peterguirguis:disqus I love that you featured those powerful videos on a specific ‘evangelism’ page. Have you tweeted the page, posted it on G+ or Facebook? That is another great way to share the collection. I’ve really liked the arrangement feature for these boards. I prioritized my overt faith boards first and have been most intentional about my descriptions for each board. I want to be more thoughtful about the descriptions I put on the individual pins. For me it was most natural to integrate elements of faith throughout all the boards on my wall and in total I think of this as my personal version of Philippians 4:8. It’s been on my heart to create a series of boards that represent the Roman’s road. That will be my next BIG pinterest project. We will see how that unfolds. Thanks for coming by and sharing your board with us. Keep that Shine On. You are an inspiration to all of us! Thanks Tami, I appreciate that I did share the page on Facebook and I also did tweet it out. The next thing I’m going to be doing is taking a deeper look into Pinterest. I just wonder if Pinterest is truly going to be here to stay or is it going to be just the next MySpace? What do you think? Good question @peterguirguis:disqus . I find it the most compelling platform out there today. Many of the people I know love it for a variety of reasons, which is why I wanted to be sure the faith – sharing opportunity was addressed. Images are a powerful form of expression and in an age where people are behaving more like creators than simply consumers its attributes have strong appeal. You can create, collect, collaborate, plan, dream, and interact with people on topics and interests you love most every time you enter into the stream. It’s design and purpose have a positive orientation. Actually, it’s hard to imagine people using Pinterest to collect images, videos, or blogs they don’t really like, let alone hate. I believe the platform takes you to the heart and priorites of a person faster than any other network. Again that common ground can be a powerful place to enter into an authentic conversation and relationship with someone. Hard to think of a better way to meet someone where they are. Of course this is all my opinion and observation. I know my brain leans right. If tomorrow social media vanished, I would miss the Pinterest experience and my wall of pins the most. Whoa – that was long way around the barn. Thanks for the great conversation. I enjoy getting a guys perspective! I also thought of one more question Tami, please forgive me for taking up all your time in order to get more followers on Pinterest, is it like twitter where you should follow back a user if they start following you? No problem – I’m traveling in Colorado today so sorry for the slow response. Yes, you can follow people back as they follow you and you can simply follow people you find with interesting pins. You can also search your other networks and see who you already know that may be on it. @peterguirguis:disqus finding follows is easy! I have only ‘unfollowed’ one person. That was not as easy as other networks, but it can be done. Glad to know you are with us in the space and time! Very helpful post Tami! Our ministry has created an account there but we haven’t posted anything yet, and your article gives me some good ideas. In light of your comment about the Roman’s road series, I’d appreciate hearing your opinion of an album on our Facebook page – http://www.facebook.com/media/set/?set=a.319214440686.150674.83279085686&type=1 – Do you think it would be good material for Pinterest? @abb2f0a8643266911016a9e432a1de51:disqus I think you are absolutely on the right track. You would need to load the images with the last one first so that when the are viewed in total they are in the right sequence for someone visiting your wall. The wonderful thing is that you can be extremely creative and if something doesn’t work, then you can indeed delete it until you get it the way you want it. Jump in and you will get the hang of it. As ministry you can create a board for everyone of your values and collect images, videos, and blog posts that express each one in a different way. You can also create boards representing every aspect of your ministry. I pray you will jump in and be inspired in the process. After all, inspiration means – Spirit Breathed. Let Him breathe through you! I Love Pinterest, I love to connect with people in different ways than only on Facebook. It is fun to me give my boards a name that sows the word into the hearts of people. 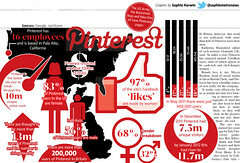 People are very visual these days, so Pinterest took care of that, plus it is very simple to use. I think that is one of the keys why it is so successful! Hello friends! Just reading your wonderful comments/conversation and wanted to share this (in case you didn’t already know): Pinterest has now launched a business version. You can easily convert your current accounts to a business account. (I literally just did this, so I don’t have a lot experience with the transfer as of yet. Although, I do want to note that I was pleasantly surprised that my account remained unchanged (old pins from my “personal” account stayed in tact). Here is more info if you’d like to dive in: http://savvybookwriters.wordpress.com/2012/11/16/pinterest-for-business-launched/ and http://pinterest.com/search/pins/?q=how+to+change+to+a+business+account. In regards to Peter’s question as to whether Pinterest will be sticking around…given this new “branch” of the site, I think it’s safe to say it’s a very good possibility. In general, the business account is yet another exciting way to represent our faith (within our professions), of which I love and am excited about. Helpful analysis – Incidentally , people need to fill out a (Medical) 2013 Lilly Form AP 86531 , my business saw a sample form here http://goo.gl/5ec69z.